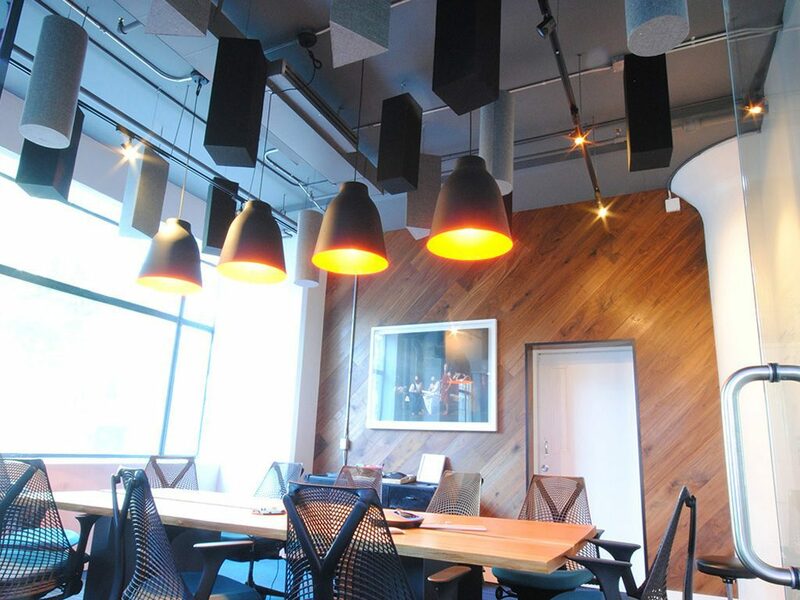 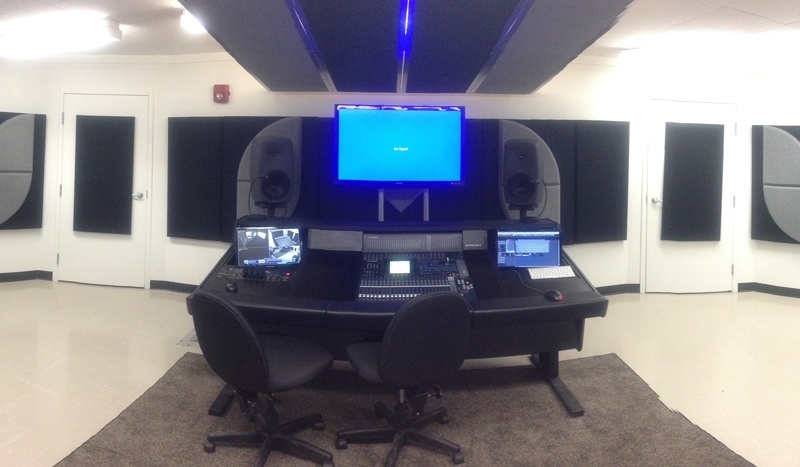 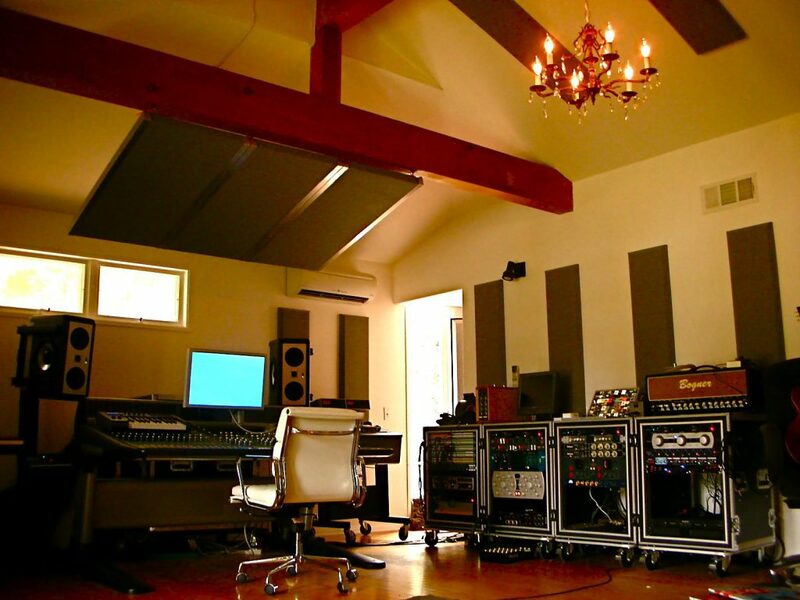 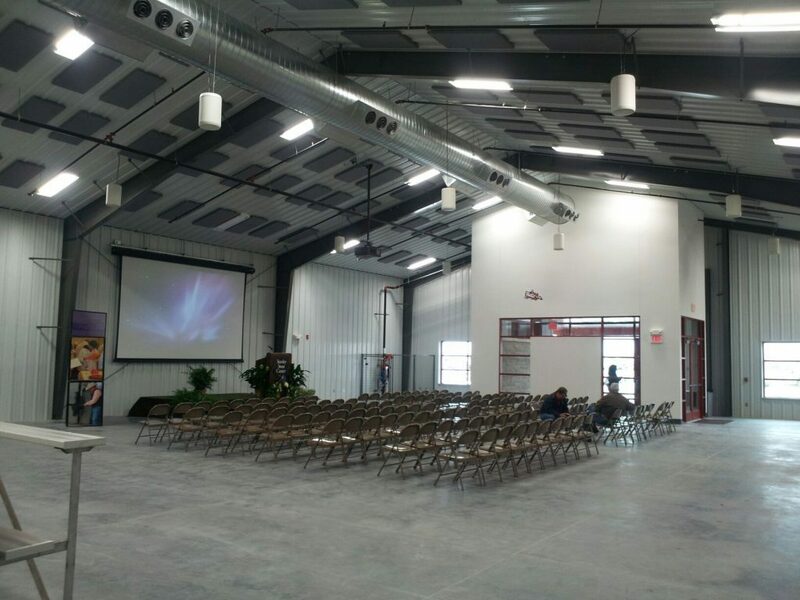 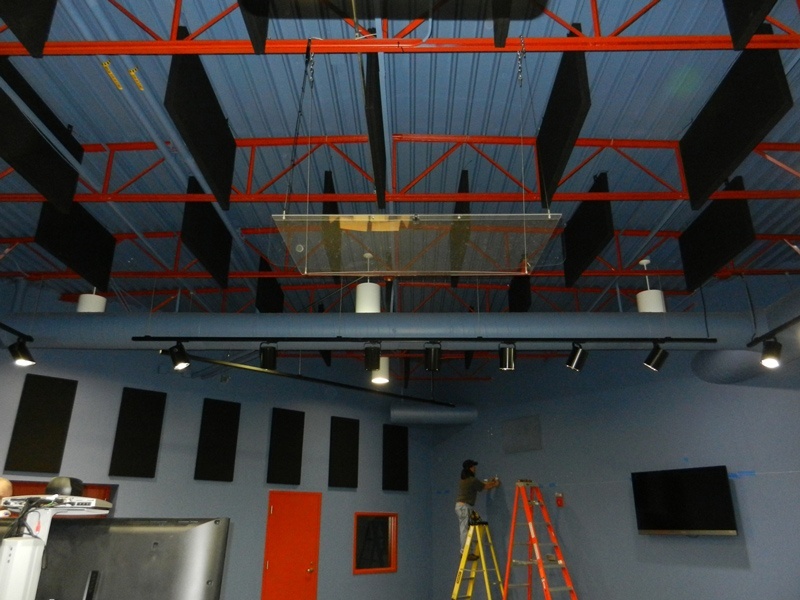 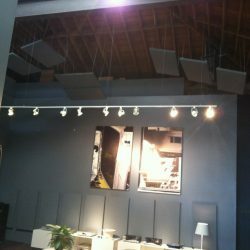 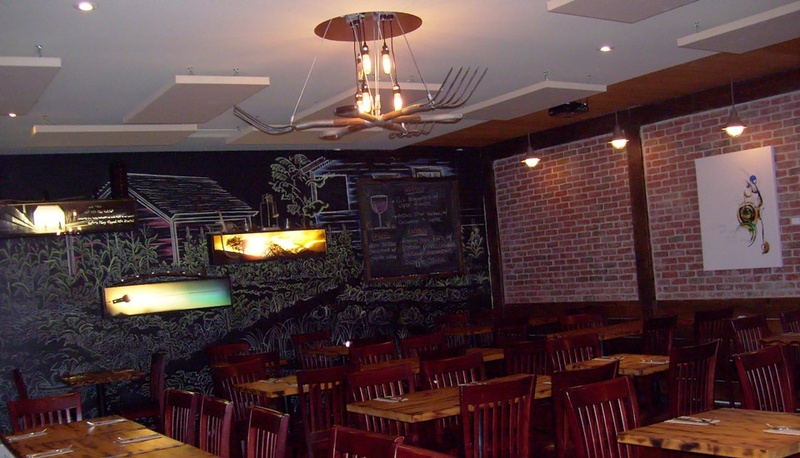 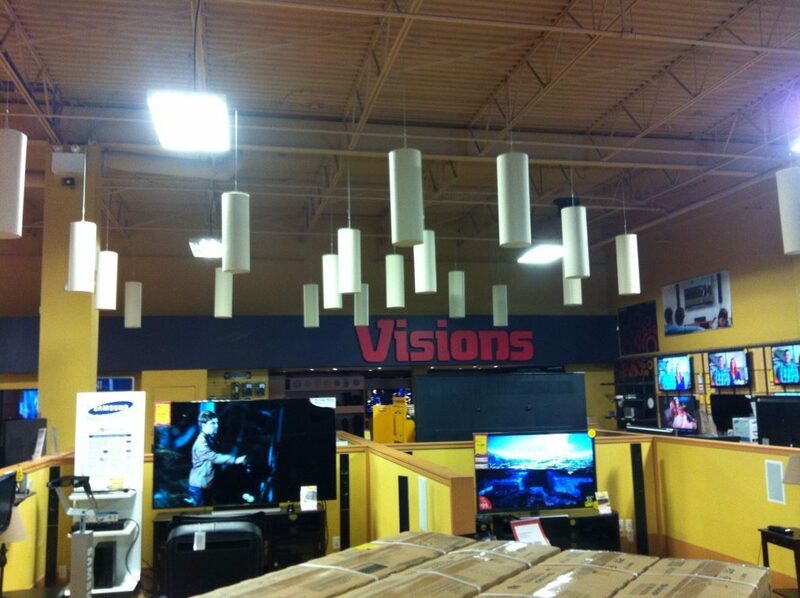 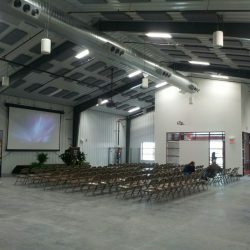 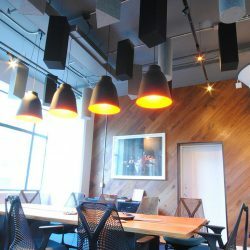 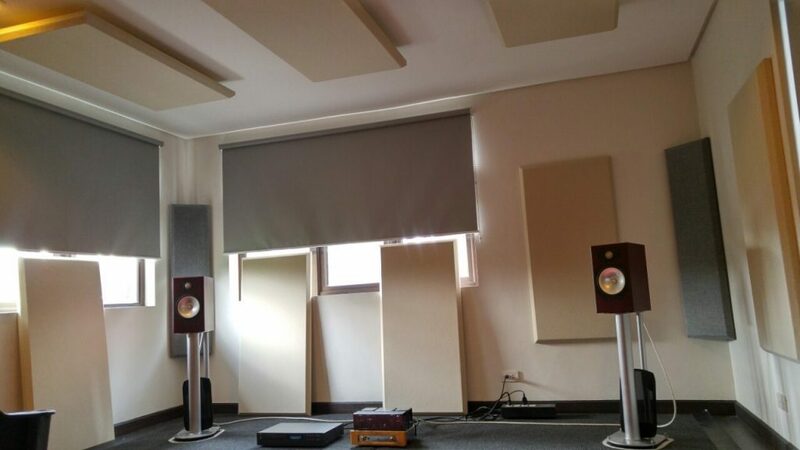 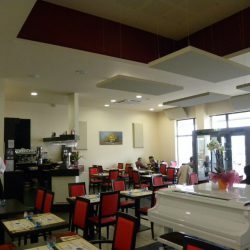 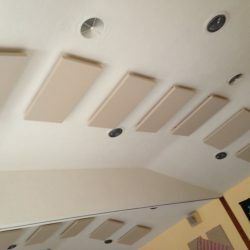 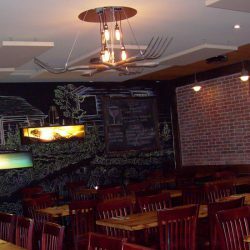 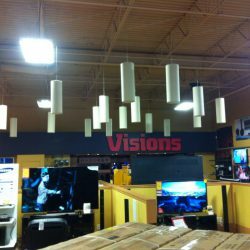 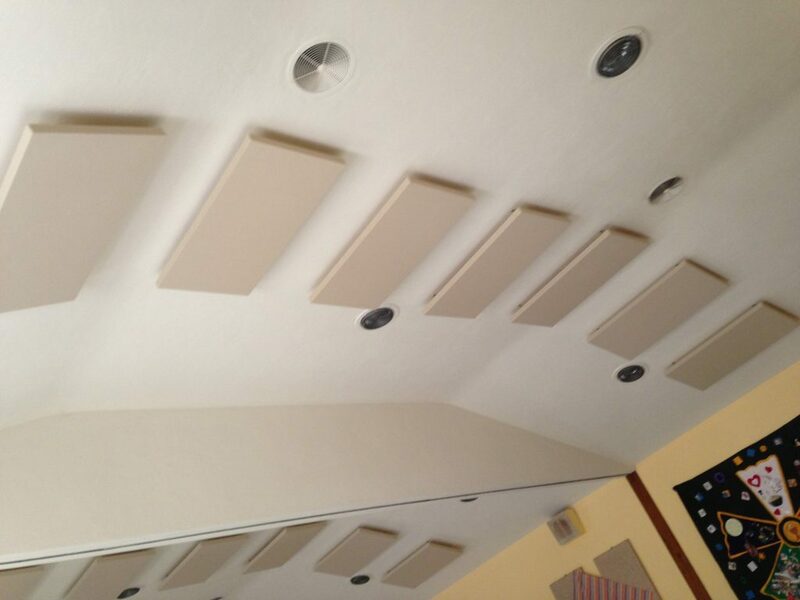 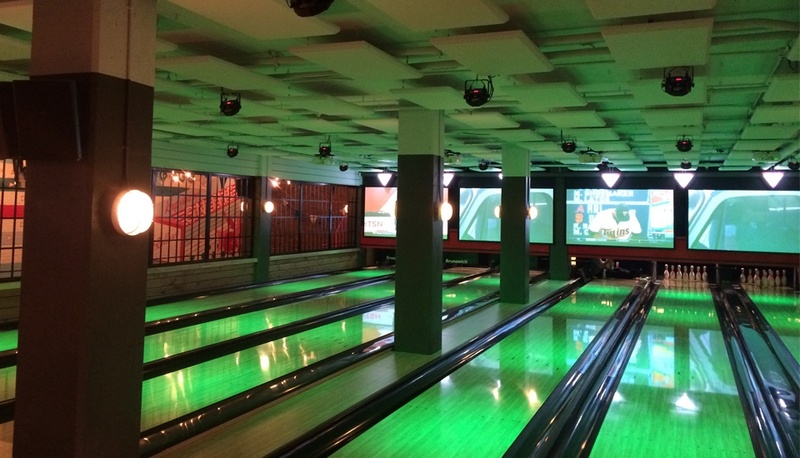 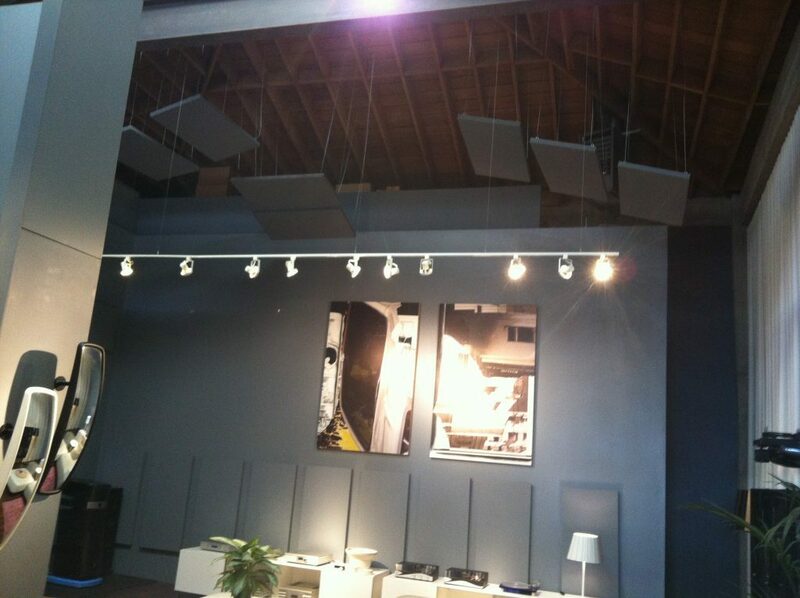 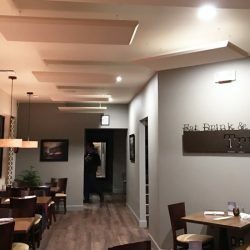 Treating the ceiling can often lead to the best solution for acoustic sound control. 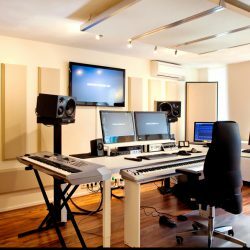 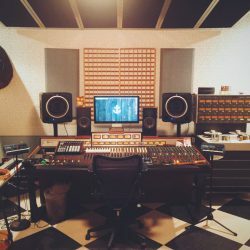 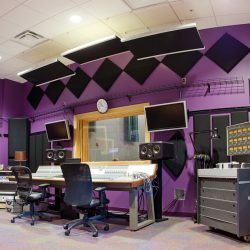 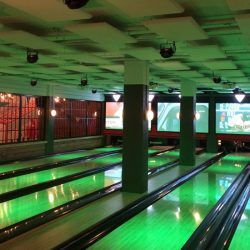 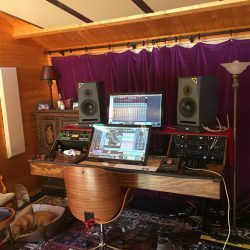 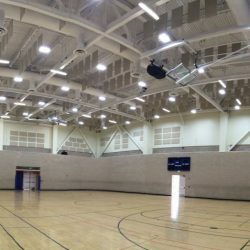 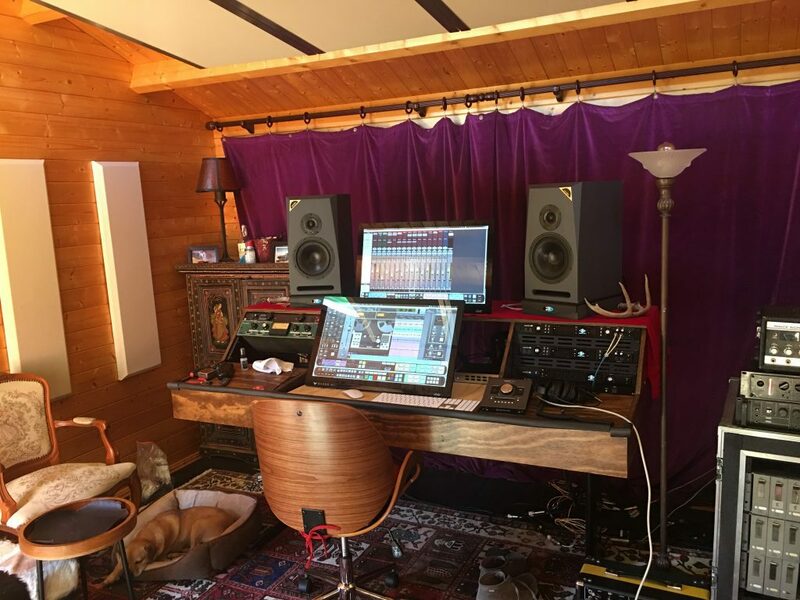 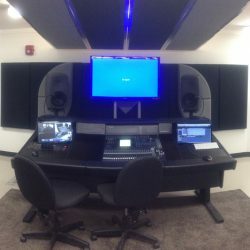 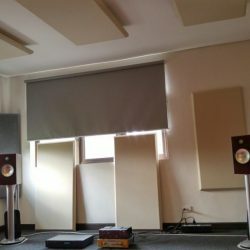 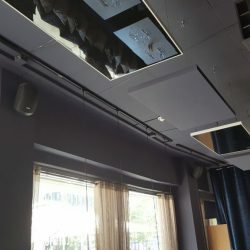 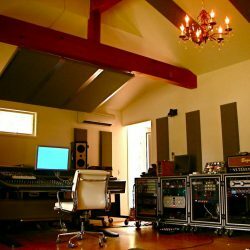 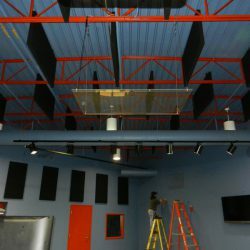 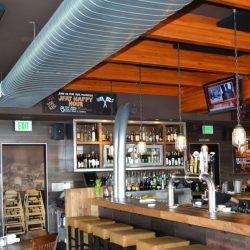 This is particularly true in larger venues and in commercial installations where windows, doors and art can make hanging acoustic panels on walls impossible. 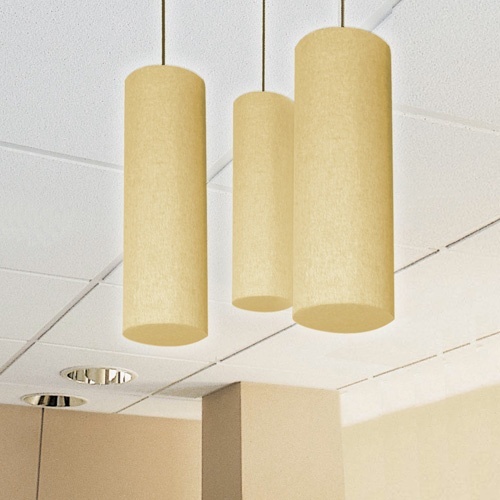 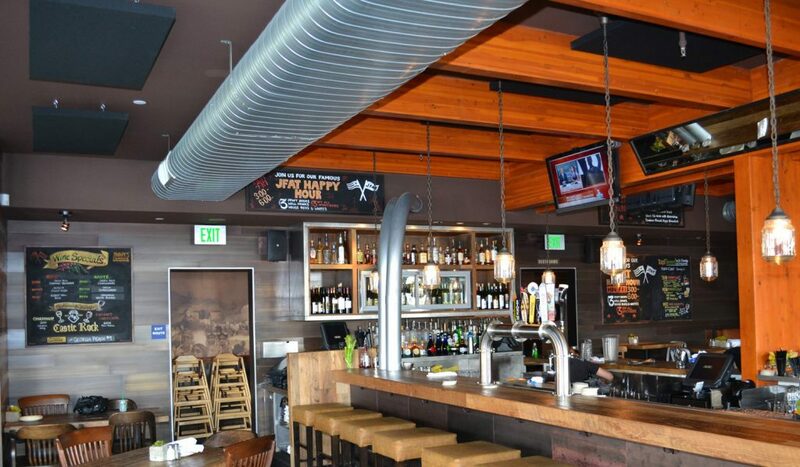 Drop-down T-Bar ceilings can also present an unwanted conduit for sound transmission if left unchecked. 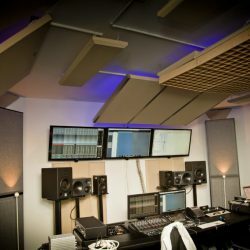 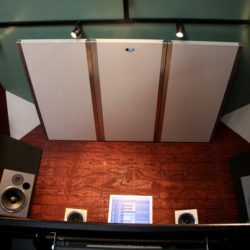 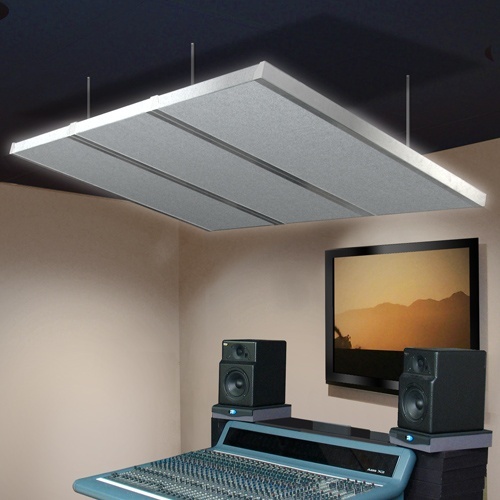 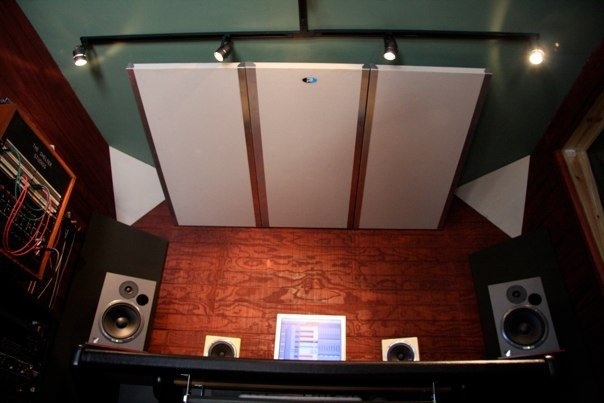 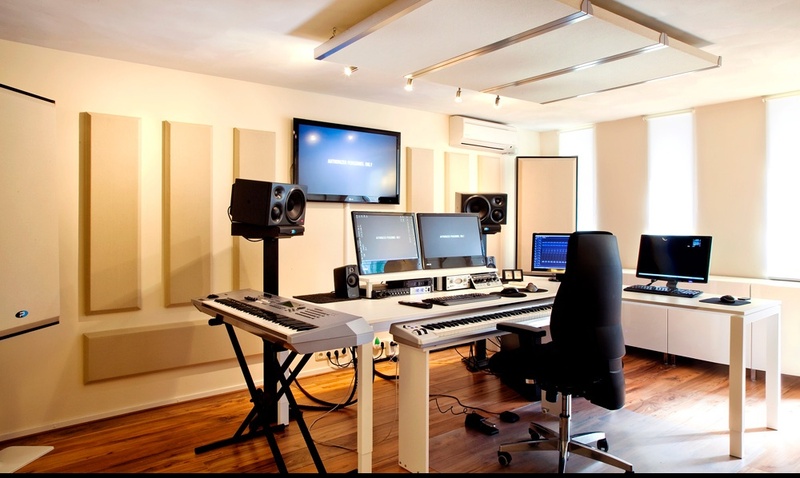 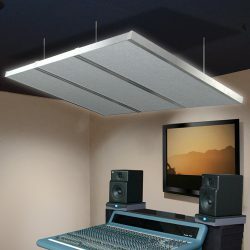 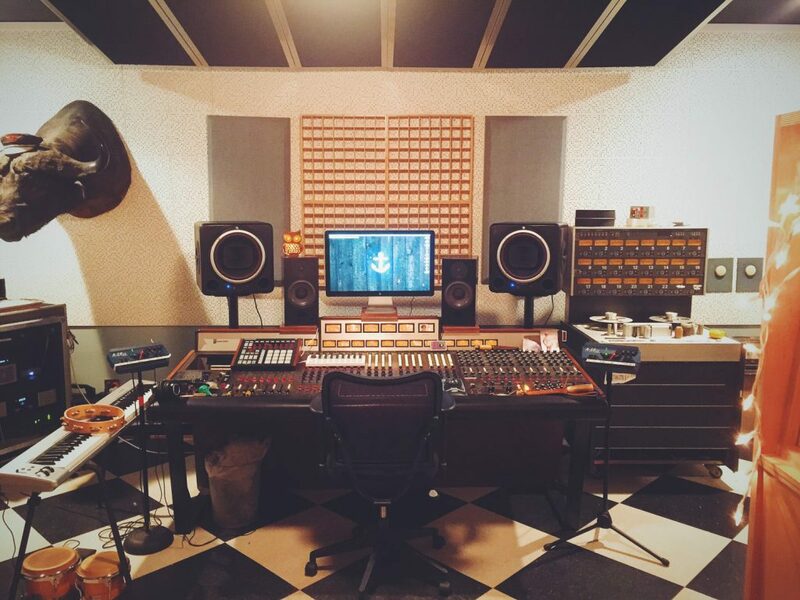 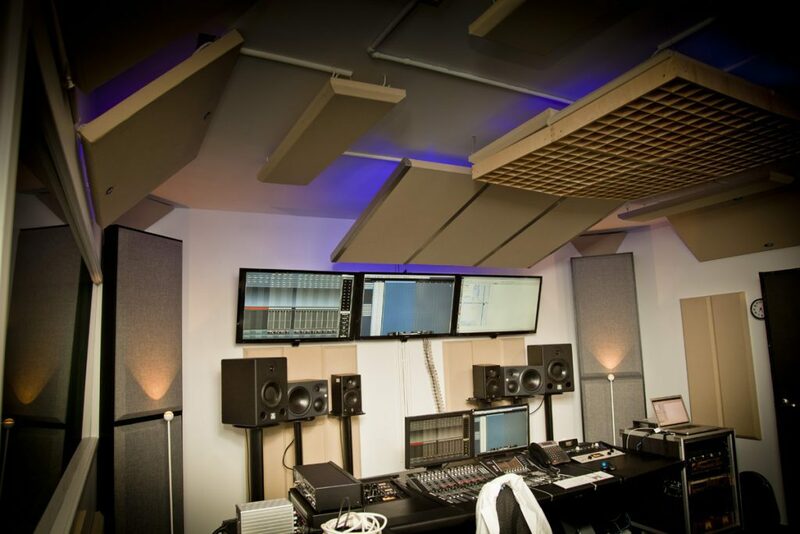 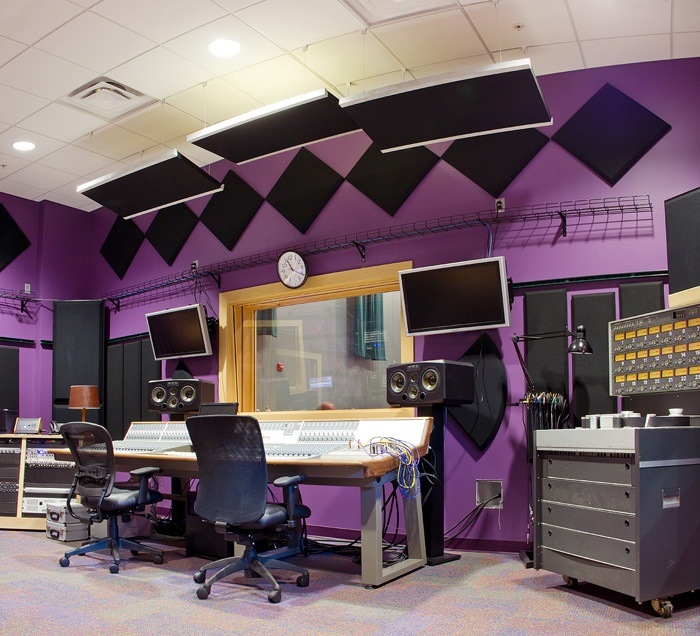 Prima ceiling panels are used for just about any situation: The modular S-ceiling cloud is designed for recording studios that want optimum control at the mix position. 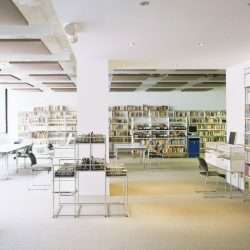 If you are looking to break up sound energy without over-deadening the space, the Radiator provides a modular remedy that can add architectural flair. 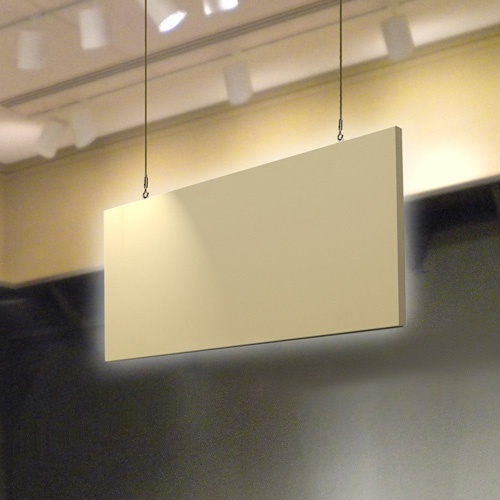 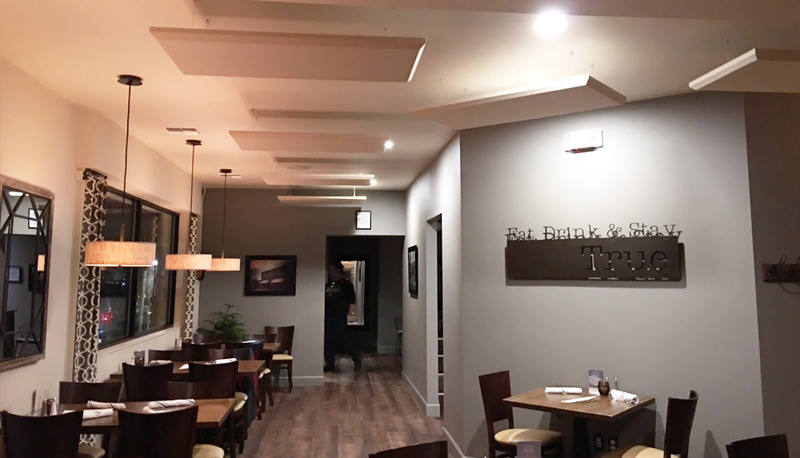 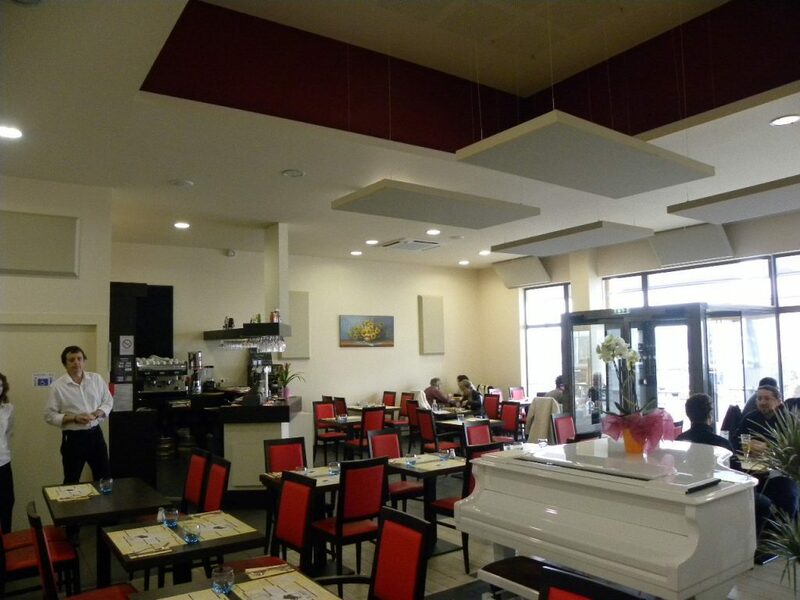 For commercial installations, the Nimbus and Cloud Paintables follow a similar path with horizontally suspended panels that are ideally suited to control sound in restaurants, cafeterias, museums and retail spaces. 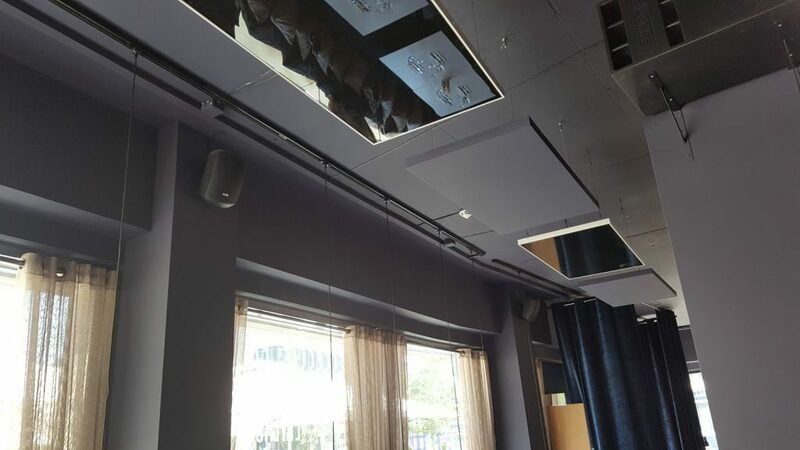 For rooms with high ceilings, the Saturna offers vertically suspended baffles that absorb energy on both sides making them ultra effective. 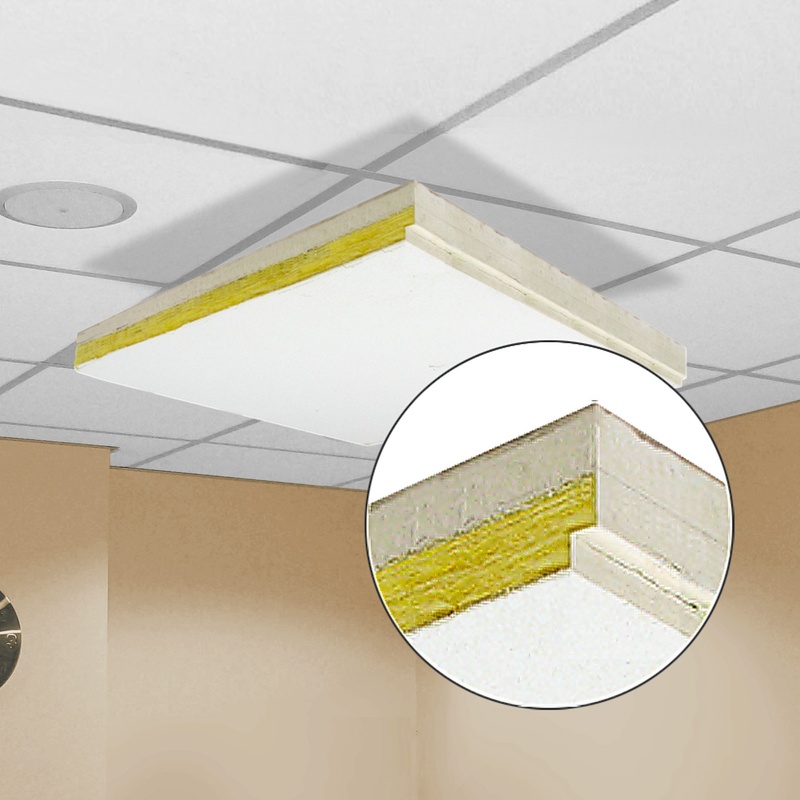 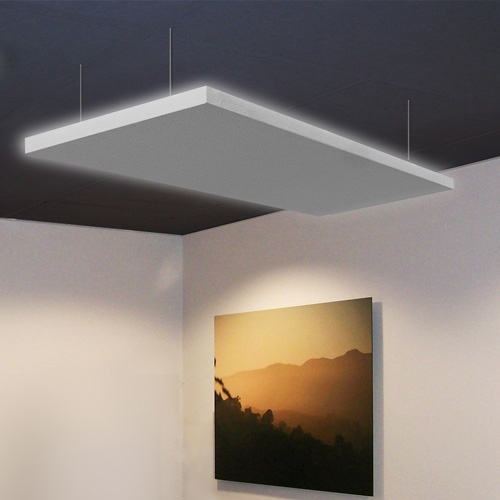 If lighting makes these options impossible, the C-tri-corner trap fits up and out of the way in the corners for rooms that have limited ceiling and wall space. 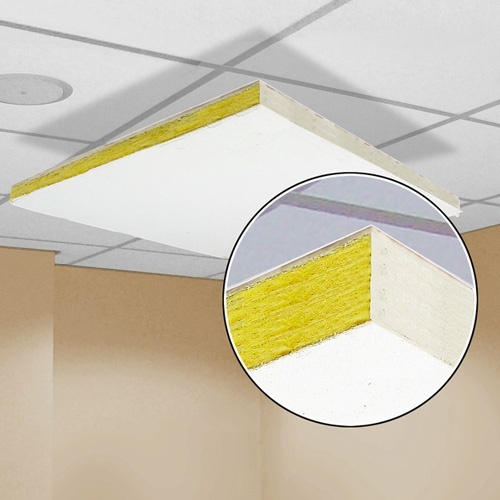 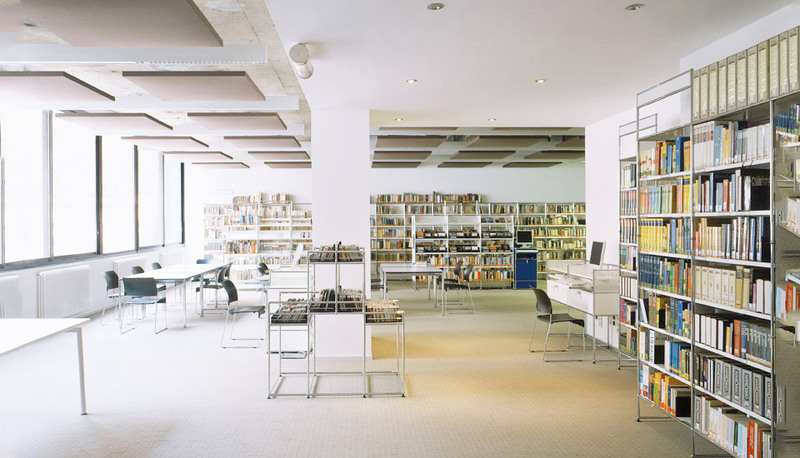 For spaces such as offices that employ T-Bar ceilings, ineffective fiber panels can be retrofitted with StratoTiles for improved acoustics while the T-Tiles can be used to both control acoustic sound energy and stop sound from traveling between rooms.